START-UPS developing online services that involve interaction with users, such as social media and e-commerce sites, will be able to pilot their work in local companies. Tourism and hospitality firms will be the first sector involved in the test-bed programme, followed by lifestyle, wellness and training. The initiative will allow firms developing what is called interactive digital media (IDM) to hone their systems while helping the pilot companies become more competitive and efficient and lift service standards. The National University of Singapore (NUS) will operate the programme through its Tourism Accelerator Workshop Series, which was unveiled yesterday. The IDM Programme Office provides funding for the industry. It is part of the National Research Foundation and hosted by MDA. 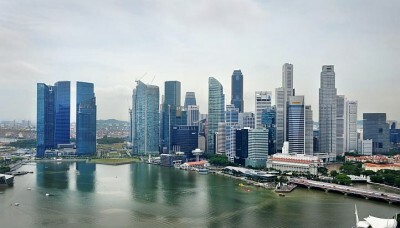 'Our plan is to use Singapore as a test bed. We're starting with tourism,' Mr Yap said. Six partnerships have started under the programme, with 26 under discussion. One already under way involves local IT firm ServTouch and six-year-old start- up Kai Square, which has developed solutions related to surveillance services and monitoring. They aim to offer live closed-circuit TV streaming for sports events, allowing viewers to personalise the content and select what they want to watch. If it works, ServTouch will be able to provide better services for its content delivery network. The service could also allow ServTouch to offer live streaming of national celebrations such as the Chingay procession and National Day events. This would allow viewers to stream the videos from the comfort of their hotels or overseas. In another project, three companies are tapping a research project undertaken by the NUS- Tsinghua Extreme Search Centre (NExT), which began two years ago. The three firms will invest $5 million to see how analytics, customer profiling and user sentiment can help them create recommendation systems, manage their reputation and even create new products. The centre specialises in multimedia search, a technology that allows huge amounts of user generated content, such as tweets, blogs, images and videos in different languages, to be collected. Brandtology, an online firm specialising in business intelligence, is investing $3 million with NExT to develop a system which can collect all the content generated by users and provide an automatic analysis of the sentiment. The firm already provides this service but an automated system would greatly speed up its work.